Welcome to Ljubljana, the cosmopolitan capital of Slovenia! 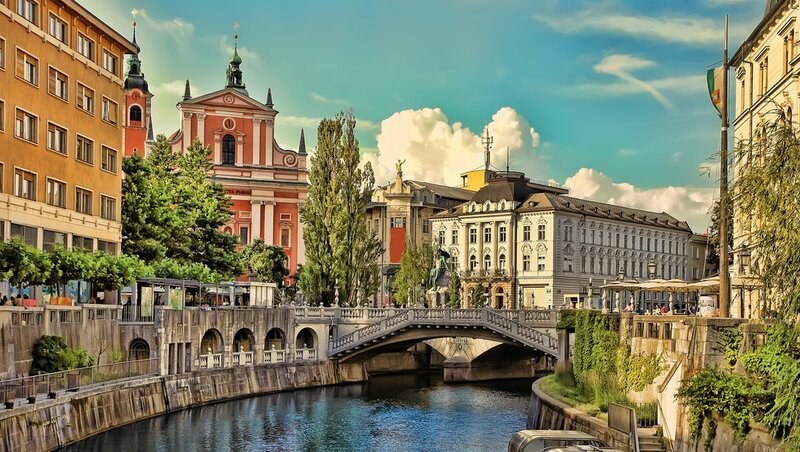 A trendy and vibrant city, Ljubljana has become one of Europe's top destinations. Visitors will find an oasis of lush green parks, open-air libraries, cobblestone streets, and a medieval old town district. Spend the day exploring this quiet and calm city. Take a funicular to visit the 11th-century Ljubljana Castle to get a panoramic view of the surroundings, take a bike ride around Ljubljana Lake, and enjoy an aperitif at one of the many open-air cafes that line the river bank. Get on the river with a stand-up paddleboarding excursion or try slacklining at the city park. On a rainy afternoon head to the Museum of Illusions or try the locally-famous Escape Room. In the afternoon meet your guide for a trip overview and a welcome dinner. In the morning transfer outside the city to begin your cycling tour. Cycle along flat and gently rolling terrain on paved country roads and pause for a lavish picnic lunch before continuing to Bled, a postcard-worthy town with a rich history. Spend the day on Lake Bled and grab a coffee and local Kremsnita dessert at Café Belvedere near Vila Bled, the former residence of Yugoslav president Josip Broz Tito. Take a traditional pletna boat across the lake to the 12th-century pilgrimage church, set on a tiny rocky island. 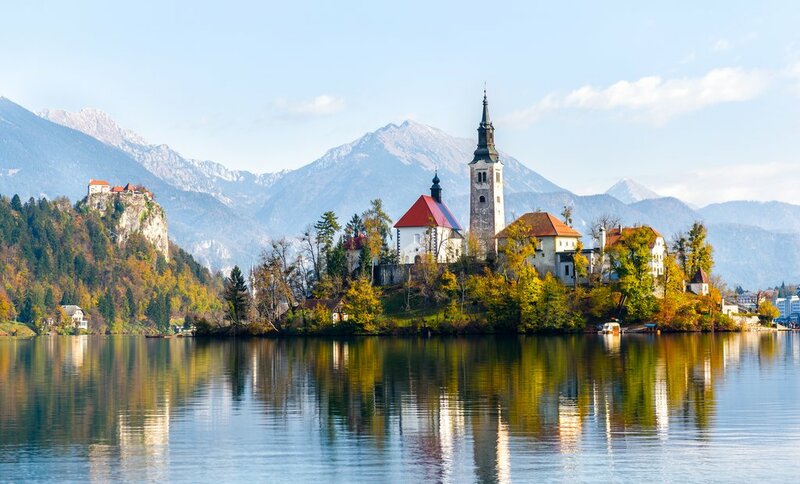 Visit the 11th-century medieval castle on the cliffs above Lake Bled, then take an afternoon bus to the old town of Radovljica. Stop in the Museum of Apiculture in Radovljica to learn about local beekeeping culture, then gather at a family restaurant for a traditional mountain dinner with local favorites like porcini mushroom soup, cherry tarts, and more. 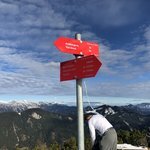 Start your morning with a challenging morning climb to Pokljuka Plateau, or opt for a relaxed cappuccino by the lake and a bus shuttle to the top of the hill. Today's ride to Bohinj Lake takes you through pristine Alpine forests and fields of grazing cows, and alongside fairytale-like wooden houses. Pause for a picnic before descending to Bohinj Lake through small mountain villages and fruit orchards. 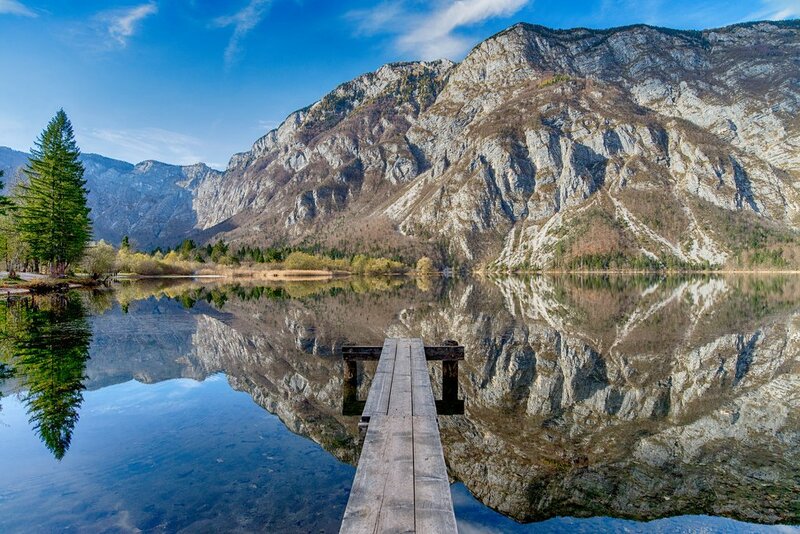 Reach Bohinj Lake with enough time to explore the beautiful natural scenery. 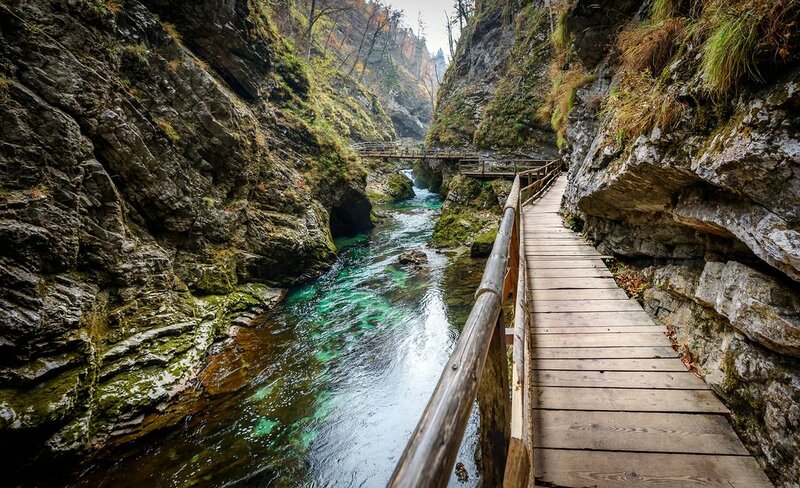 Take a walk around the lake to find the perfect secluded beach, or take a trail into the Mostnica River Gorge and walk upstream to explore numerous waterfalls. In the afternoon visit the Alpine Dairy Museum in Stara Fuzina to learn about the centuries-old traditions of high-alpine pasturing, or choose from one of the many other optional activities—horseback riding, rock climbing, canoeing, or biking. 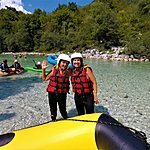 Enjoy a leisurely afternoon on the lake before shuttling back to Bled for a relaxed evening. At dinner tonight try the local delicacies—rabbit ragout dumplings, chestnut cake, fresh ricotta cheese, and hearty full grain bread. After a hearty breakfast, begin the ascent to the foothills of Pokljuka Plateau in the isolated Alpine Valley of Radovna River, a nature lover's paradise. Cycle through green meadows and stop to browse wild blueberries if the season is right. An easy road leads you past a 400-year-old linden tree to the abandoned ironwork plant, one of the first industrial plants in the Alpine region. 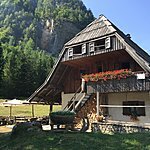 Stop at one of the local farms to try the local specialty—jdovi krapi, buckwheat dumplings filled with ricotta cheese—then continue to Mojstrana to see the Slovenian Alpine Museum. From here a flat bike path brings you to Kranjska Gora, a small village and ski resort which hosts many World Cup Alpine Ski Races. Additional stops along the way include a memorial to the destroyed village of Radovna, the traditional Pocar homestead, and the serene Lake Kreda. At dinner tonight sample the unique regional cuisine: sea bass with pomegranate sauce, beet soup, and braised deer ravioli with red cabbage. In the morning opt for a ride up to Vrsic Pass, considered to be one of Europe's most challenging mountain roads. The road to the top was originally built by the Russian military during World War I and is now considered to be the bar of endurance for eager road cyclists. Pause at the top to take photos and refuel with a picnic lunch, then descend down to the Soca River, famous for its emerald water and unparalleled beauty. This region was the setting for one of the Chronicles of Narnia films, and it is easy to see why—snow-capped peaks, lush forests, and clear water make for a storybook setting. Additional stops along the way include the Juliana Alpine Botanical Garden and white-water rafting on the Soca River. End the day in Bovec, Slovenia's outdoor capital. Enjoy a savory gourmet dinner, or opt for a more casual pizza dinner accompanied by a local craft beer. 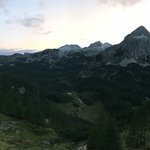 In the morning head to the westernmost part of Triglav National Park. Your first stop is an open-air museum of local military history. 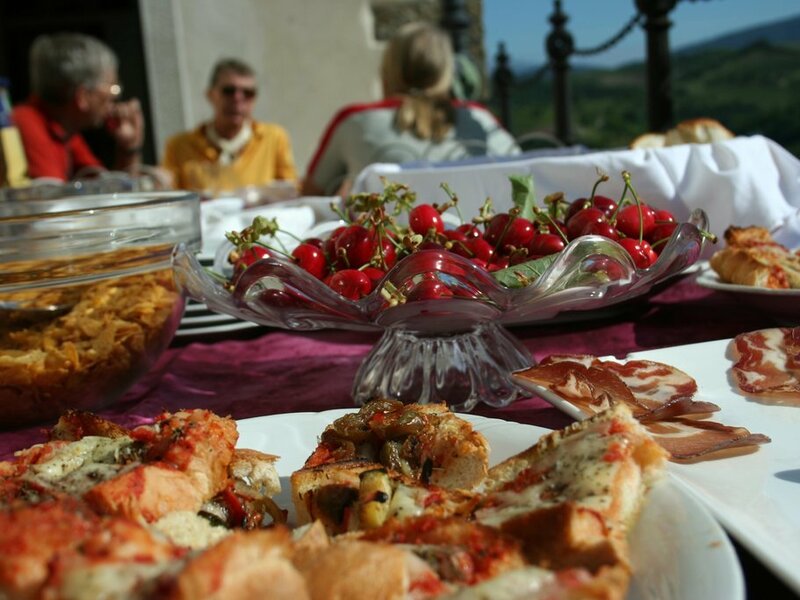 Enjoy a picnic lunch with views of the Alps and the Adriatic Sea, then continue along the Idrijca River to the picturesque vineyards and rolling hills of the Goriska Brda region. 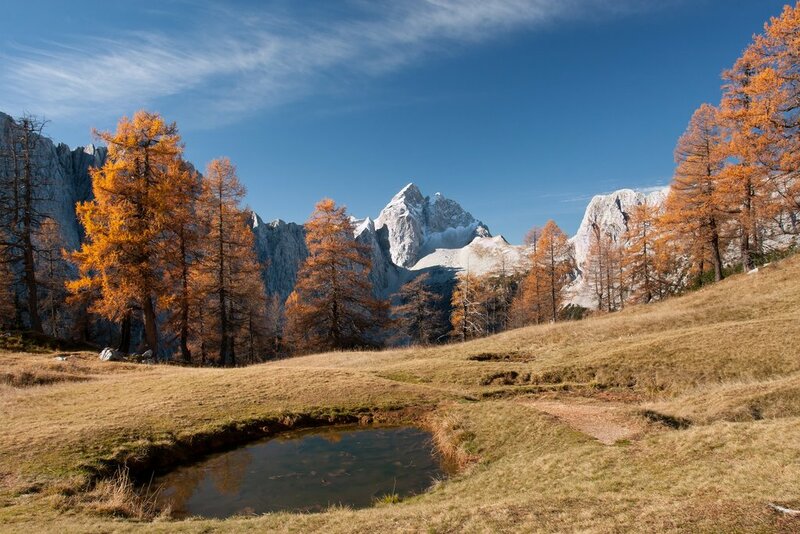 This region's sunny Mediterranean climate is a strong contrast to the previous days' magnificent Alpine views. This hilly area borders the Collio Goriziano region of Italy and bears a strong resemblance to Tuscany. The climate and local cuisine give it a distinctly Mediterranean flair, which is reflected in the world-famous wines, including the indigenous Rebula vine which dates back to the 13th century. Several of the local wine producers, including Kabaj and Movia, are ranked on the Top 100 List of Wine and Spirits Magazine. Sit down to a mouth-watering local farm-to-table dinner with home-cured Prosciutto, olives, cherry brandy, and gooseberry desserts. Begin your day with a short shuttle across the Italian border to a small seaside town, the perfect start to today's cycling. Explore the cobblestone streets and grab a coffee as you get ready for your ride. Today you ride on the Parenzana, a former narrow-gauge railway line which connected Trieste and Porec in the early 20th century. Cycle along the warm Adriatic coast, enjoying views of pebblestone beaches, juniper trees and endless olive groves, and old villages. Finish your day in the sleepy Venetian town of Piran, which gained notable power thanks to ancient Greek trading routes. 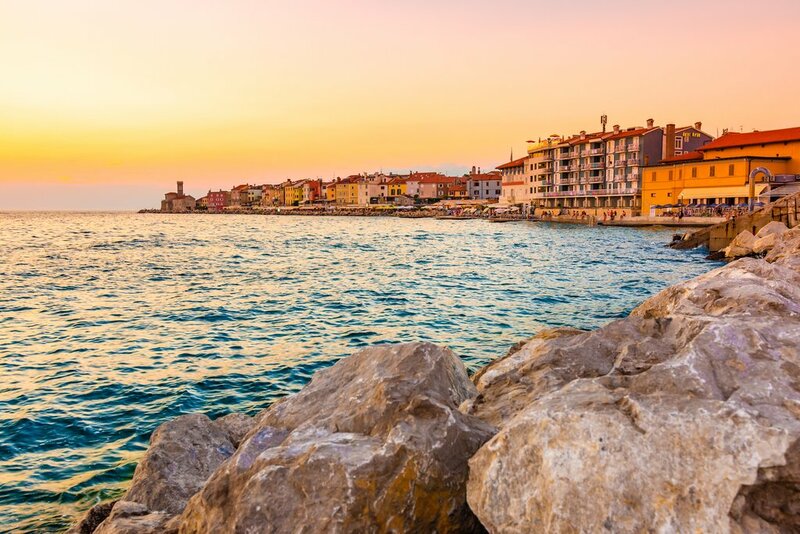 Stroll the narrow medieval alleys to see where famous composer Giuseppe Tartini was born, enjoy panoramic views from Piran's Cathedral, and shop for the finest olive oil and raw salt. Optional day trips include a boat trip along the Slovenian coastline and a catamaran cruise to Venice. In the evening gather for an aperitif and dinner to celebrate the incredible biking of the past week. Enjoy one last morning cappuccino in the peaceful countryside, then head back to Ljubljana. 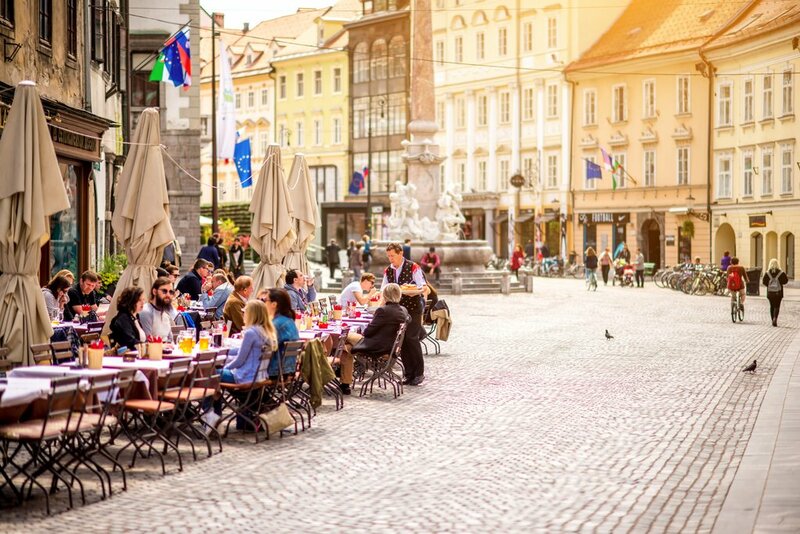 Enjoy an afternoon stroll around the city and a relaxing aperitif before catching a shuttle to the Ljubljana Airport or other nearby cities/airports. Safe travels!